Colin Green Photography: Ruskins View and Sunshine Over A Happy Valley. Ruskins View and Sunshine Over A Happy Valley. Please Click here to view or buy "Ruskin's View" Click the link to open in another window a better quality and without tag picture to either view or buy. The picture here as been reduced in quality to prevent reuse without permission. 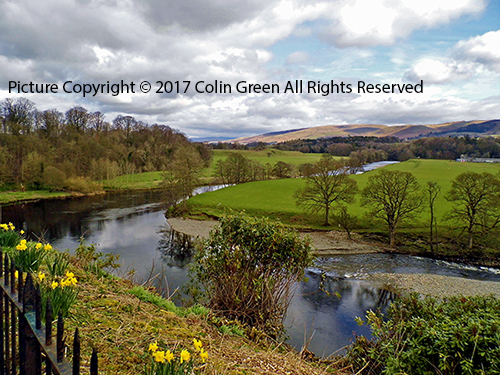 Ruskin's view was taken on the 4th April 2015 and shows the River Lune from St Mary's Churchyard, Kirkby Lonsdale. Known as Ruskin's view after Victorian art critic John Ruskin. Sun Shines over a Happy Valley. 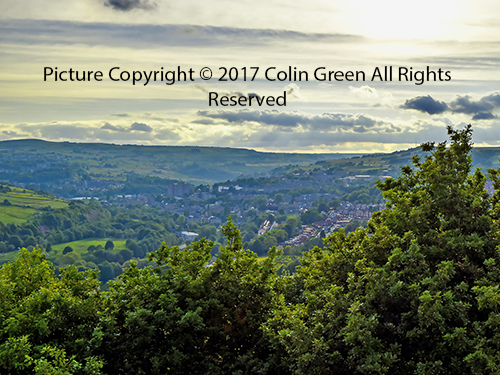 Please click here to view or buy "Sun Shines over a Happy Valley" Click the link to open a better quality and without tag image to view or buy. The picture has been reduced in quality to prevent reuse without permission. Sun shines over a happy valley was taken on the 30th May 2016 from Albert Promenade, Halifax. 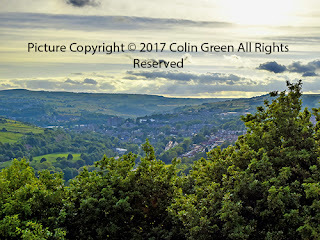 The town of Sowerby Bridge can be viewed in the valley below hence the name I gave the picture after the popular TV series Happy Valley which is filmed in the area. Even if you do not wish to buy a copy of the pictures please take a short time to view my photos on Clickasnap Here. Just a 10 second view helps support my photography as Clickasnap pay a small contributors fee for views over this length.